“Rayna, you are more powerful than you can imagine,” the Guardians said to me. But they expected too much of this seventeen-year-old girl. I barely knew how to take care of myself. I was not ready to be a leader and protector of a whole civilization. And I did not know if I ever would be. I should have never run away, but it was all too much. I needed a moment, a place where no one knew who I was or even knew I existed. The year was 2039, and for thousands of years, my people, the Auzerians, stayed hidden, forgotten on this continent far from human civilization, a lesson learned from a time when we once walked among humans in harmony as brothers and sisters. For we were all children of the earth, made of the same flesh and bone. And aside from the crystals that the Auzerians adorned themselves with, there was no telling us apart; we were inseparable. Humankind’s dangerous need for power consumed them, and their technological advances finally reached their peak in 2020. Quickly devouring energy, they soon found their resources dwindling. A once-thriving society now barely eked along in “their continual search for new ways to sustain it. A wall was created to protect us and the crystal forest of Auzeria, my home. 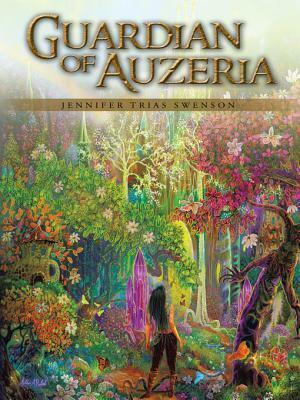 Auzeria was a land filled with glimmering crystals and roaring waterfalls, with stone and crystal homes nestled in fields of green grass and wildflowers, surrounded by the majestic colorful trees of the forest. It was a land we were now forbidden to leave. After all this time, I never imagined I would run into anyone outside the Wall of Auzeria, and I never imagined anyone would know my true identity. Of all the teachings the Guardians gave me, I do not think they could have anticipated preparing me to relive what our ancestors sought so hard to protect us from—to be hunted for my crystal. But now in the eerie silence of the night, within the lurking shadows of the forest, I had to rely on my own intuition to get back home. This is not the kind of genre I read very often but it sounds like a great book for fantasy lovers!